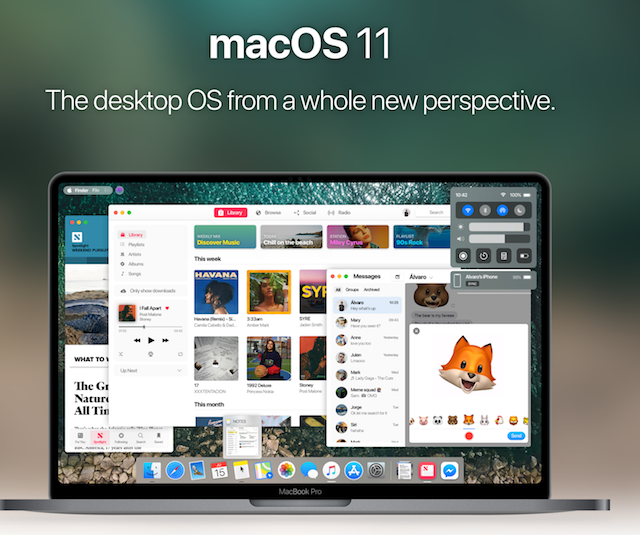 A new macOS 11 concept published recently by designer ?Alvaro Pabesio has completely reimagined and overhauled Apple’s desktop OS, changing almost everything in one way or another. 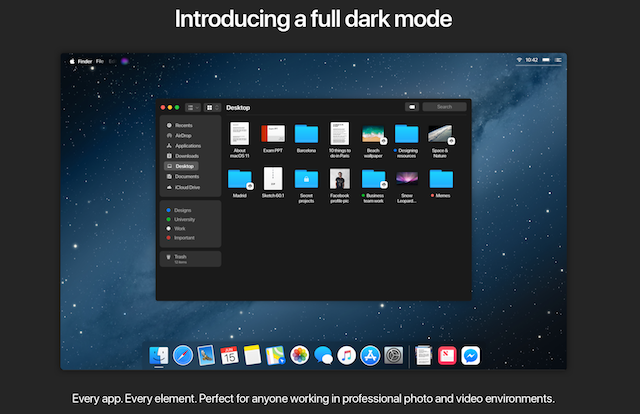 The menu bar has been completely redesigned, featuring a Control Centre like iOS, as well as a new universal dark mode, universal apps and tons more. 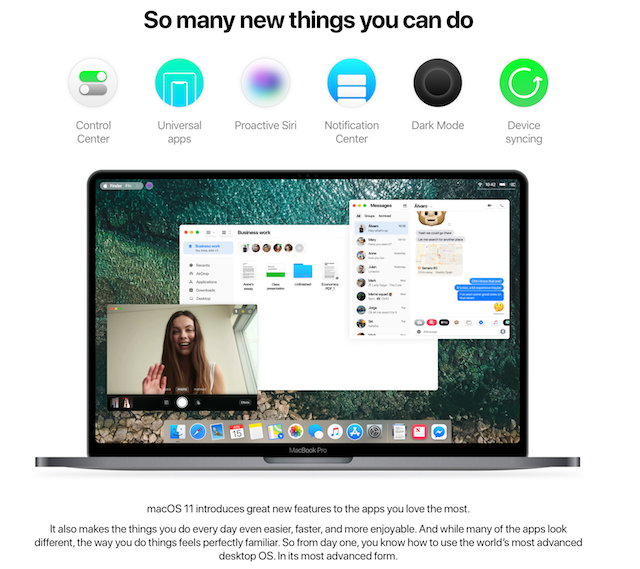 The concept macOS 11 introduces a simplified status bar, with a full iOS-like Control Center that offers toggles for Wi-Fi, Bluetooth, Do Not Disturb, and more. 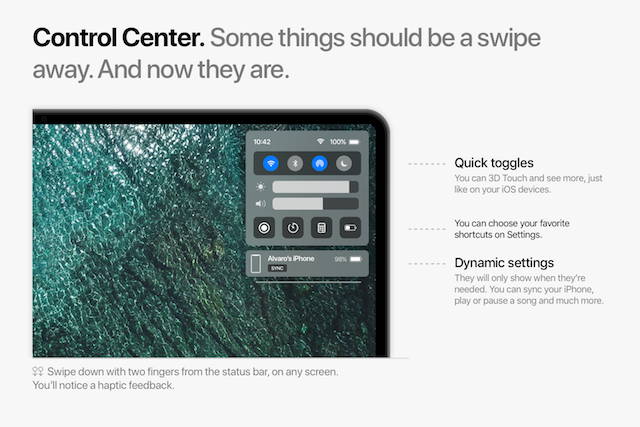 The concept also imagines how macOS would support iPad applications, based on a recent Bloomberg report that Apple may unify iOS and macOS Apps in 2018. 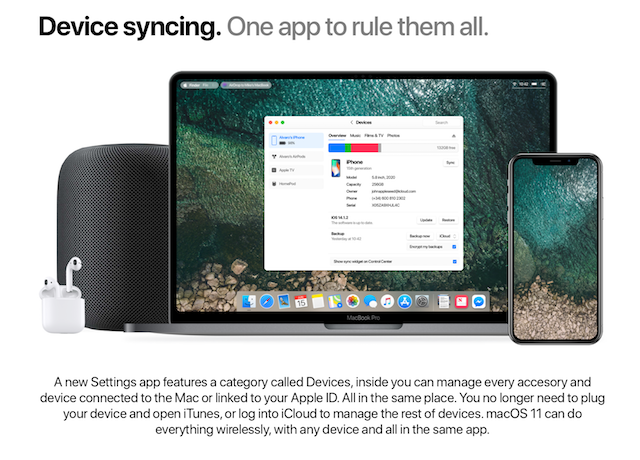 Check out some screens from the concept below and share your thoughts in the comments section.